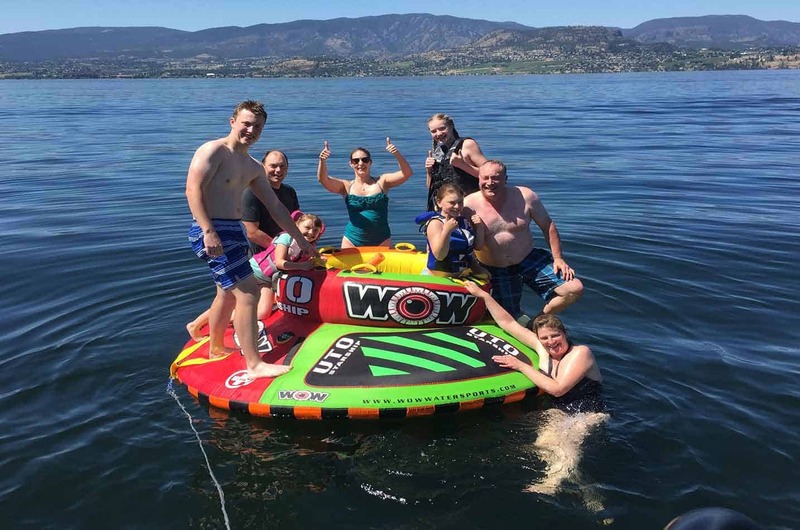 Adventure Tubing, Wake Boarding, Cliff Jumping and more! 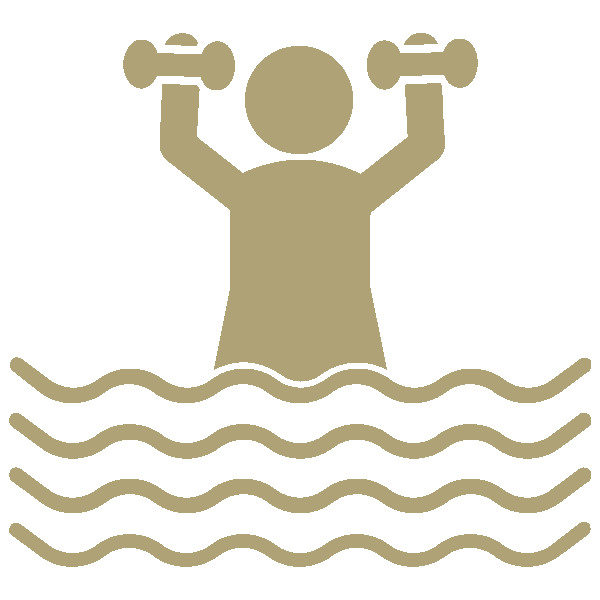 Looking for that unique summer time water sport activity that leaves you with a smile permanently ingrained on your face? 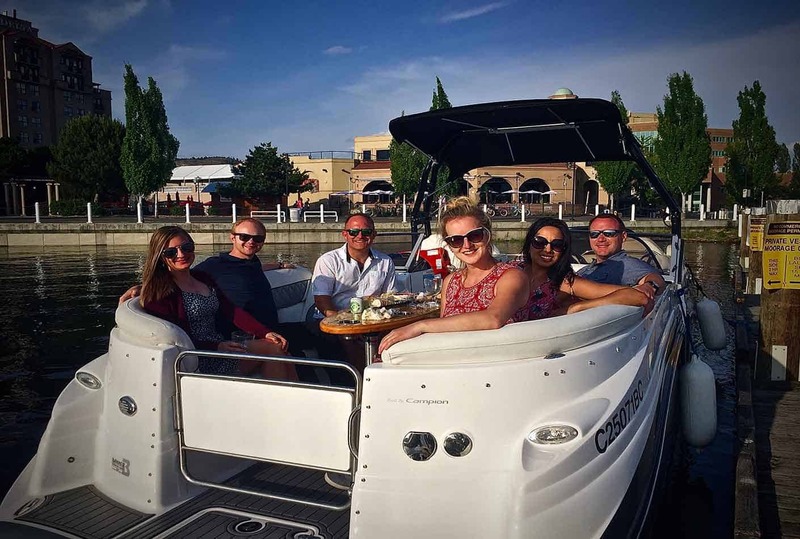 Get your friends or family together and try one of our many adrenalyn based packages. 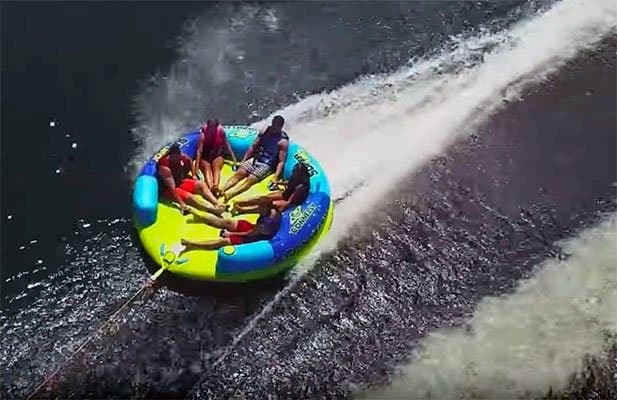 WOW Adventure tubing on our 5 rider UTO Starship, or the Super UFO that seats 6, we also have a 3 rider couch called the 3G, a tube that you can either ride forwards or backwards like a chariot! We also offer The Disc, a 4 foot round thin disk that you can ride, stand, squat or kneel on and spin and huck air with! Another great way to get that adrenalyn going is to strap the Wakeboard on and catch some air! 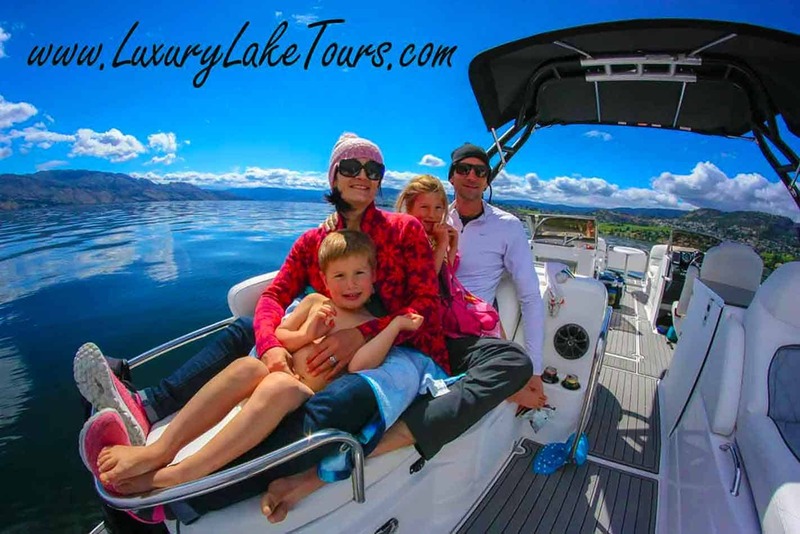 We have 2 and 3 hour packages available as well as a Learn To Wakeboard experience that is 2 hours in length. 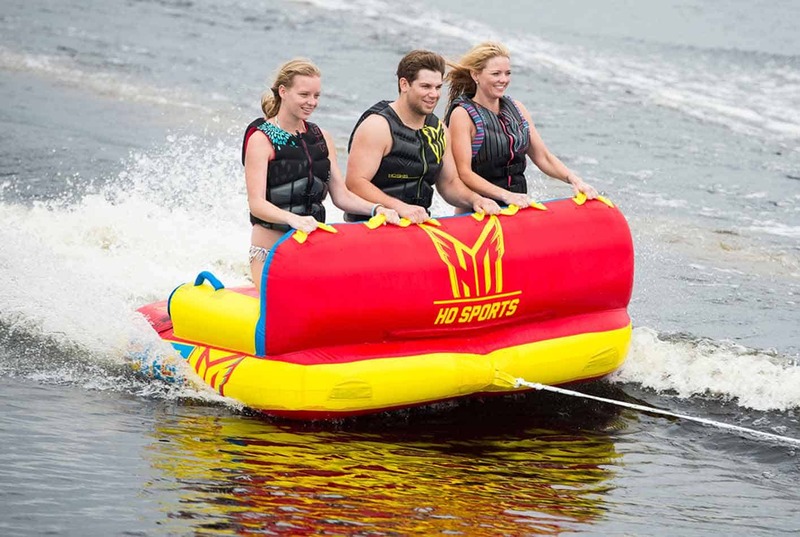 The best bets for extreme summer fun!